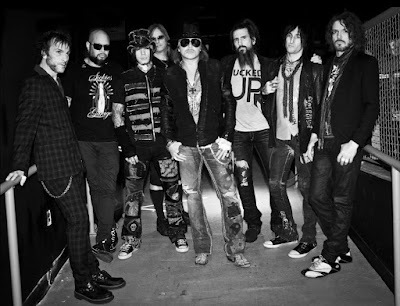 MetalRockNews: Guns N' Roses' Tommy Stinson about the band: "I really have no idea what's going on"
Guns N' Roses' Tommy Stinson about the band: "I really have no idea what's going on"
Guns N' Roses' bassist Tommy Stinson was recently interviewed by StarTribune.com, you can read some excerpts below. Stinson said that his status in the band is up in the air. He said: "I reach out once in a while to that crew of people, a lot of whom are also my good friends, but I really have no idea what's going on. I didn't quit the gig or walk away from it. We just all sort of left it in Las Vegas." He added that he looks back fondly on his time with GN'R lead singer Axl Rose. "I'll be honest with you: Axl was always very good to me, and it was always a really good gig. It wasn't necessarily the easiest gig, but it was always good. I have nothing but gratitude for it. If they got the modern lineup together again and wanted me to play, of course I'd have to think about it." Stinson is at work on a new record for a 2016 release. He said: "I'm proud of my other records, too, but I feel really good about what's coming now. And one big difference now is it looks like I'm actually going to have time to put into it for once."